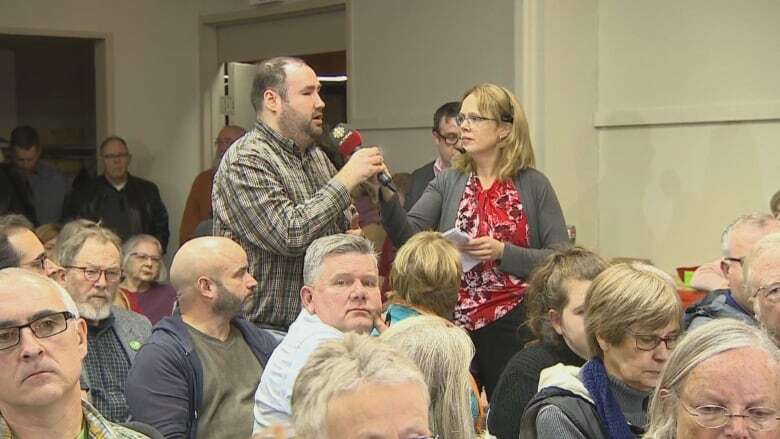 There was no shortage of passion — and no shortage of frustration — as people gathered in Charlottetown Wednesday evening to discuss access to affordable housing. The public forum was hosted by CBC P.E.I. About 200 people packed into the Farm Centre for a public forum hosted by CBC P.E.I. 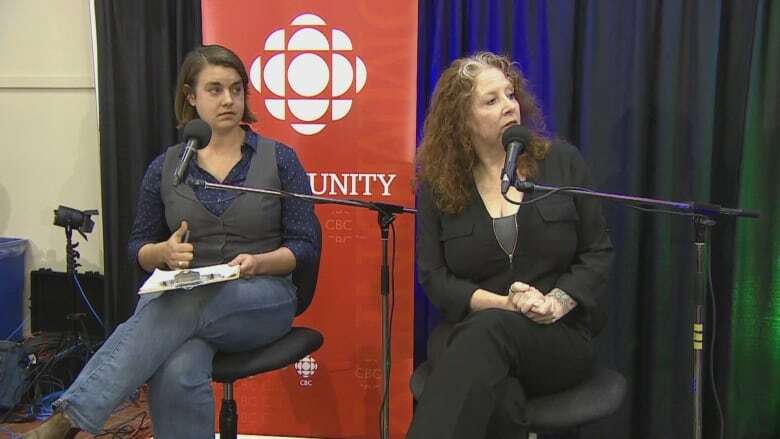 "You shouldn't have to live in a broom closet just because you're poor," said Pam Detlor, a former resident of Heritage Park mobile home park in Summerside, and one of the panel members for the event. 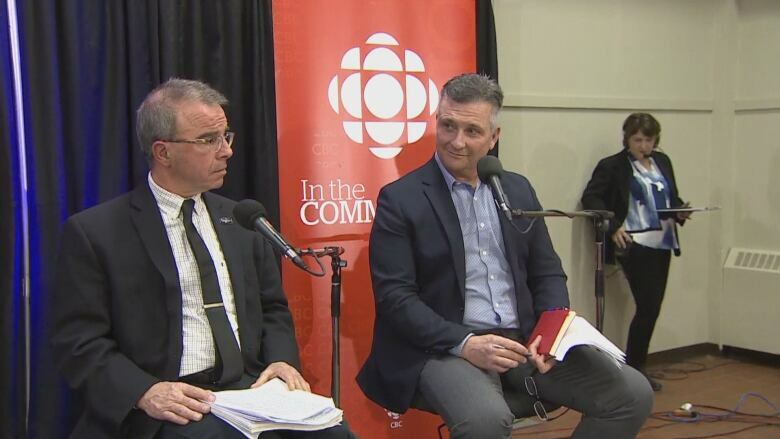 Alongside Detlor were Hannah Gehrels, with the group PEI Fight for Affordable Housing; developer Tim Banks; Charlottetown Mayor-elect Philip Brown; and Finance Minister Heath MacDonald. The event was hosted by CBC News: Compass host Louise Martin. 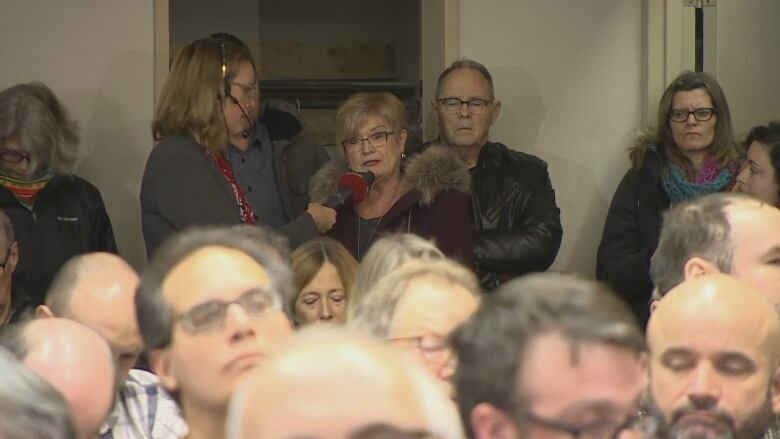 Members of the public had a chance to ask questions of the panelists, and in doing so, many shared their personal experiences of trying to find a place to live on P.E.I. The most recent numbers from the Canada Mortgage and Housing Corporation indicate record-low vacancy rates of just 0.3 per cent on the Island. Nick MacIntyre talked about his difficulties trying to afford rent in Charlottetown while on social assistance. "My rent is $635, and I don't live downtown where the more expensive apartments are," MacIntyre said. Meanwhile he says he receives just $588 each month from social assistance for housing. But even those with better housing situations are worried about the future. Norma Malone considers herself "blessed" to have a comfortable apartment, with a rent of just over $1,000 per month. But her unit is on the second floor, and she is thinking ahead to what she will do if she can no longer manage the stairs as she gets older, and needs to find a new place to live. "When that day comes, I'm really concerned about being able to find something that's comparable," Malone said. Among the many issues brought up by panelists and audience members alike was a call for improvements to the Island Regulatory and Appeals Commission (IRAC). Detlor expressed concern that once a tenant no longer lives in a unit, they can no longer challenge an eviction through IRAC. Gehrels said she often hears about evictions that aren't legitimate, but there's nothing tenants can do. "We've heard so many stories about being evicted for renovations that don't happen," Gehrels said. She also said while living in a unit, many tenants won't speak up about issues with their landlord, for fear of being evicted. The province recently requested that IRAC conduct a review of tenant rights — and MacDonald said he doesn't see any reason why the report from that review wouldn't be made public. There were also calls for rental rate freezes, but Banks said from a developer's perspective, that's not a solution. "You can't just freeze rents, because I'm not going to build any more," he said. He said less red tape, and the ability to build buildings with more stories will help. "The more that gets built, it drives down the rent. It's just as simple as that." Though some in the audience didn't agree. "I have a hard time being concerned about developers' profit margins when we have people who just need a place to live," said Gabrielle Ayles. Which levels of government responsible? For his part, Philip Brown said he would take the ideas he heard during the forum back to council. 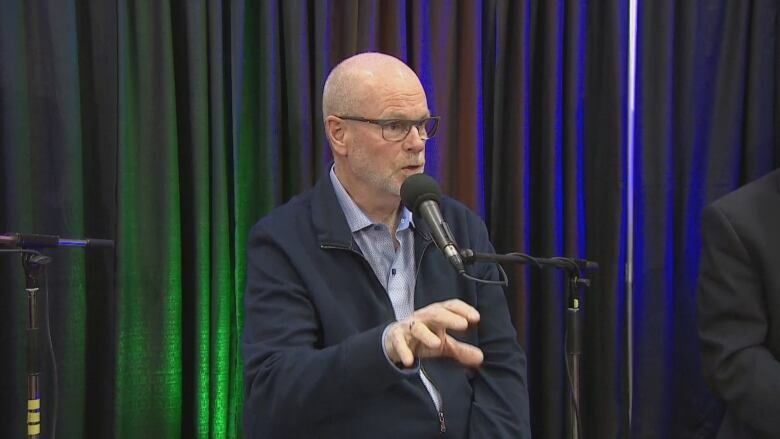 However, during the discussion, there was disagreement between him and MacDonald about what levels of government should be responsible for building more affordable housing. "If the municipalities think that it's federal and provincial government that is responsible for this, they're collecting tax as well," MacDonald said. He said all three levels of government must work together. But Brown said the tax money Charlottetown receives "is not enough to make projects develop to provide housing." Attendee Brian Gillis said he was disappointed to see his new mayor "pass the buck to the province." MacDonald said housing is an issue the province takes seriously — and is working hard on. He noted that the province is working with a developer to build new units in Montague and Stratford. "I think we can see an ending to the housing problem," MacDonald said. "We will give it 110 per cent to accomplish, to get people a home because there's nothing more respectful than having your own place."